My aim is to provide an overview into what threatens heart health, and for this paper, specifically Heart Attacks. In doing so I want to create a paper that is simple to read and follow, and easily understood. Being well aware of the fact that medical terminology is confusing, I will use common terms where possible, and will explain clearly as I go. There are multiple categories of heart disease: Coronary Artery Disease or CAD, heart rhythm problems, heart defects at birth, weak heart muscle (dilated cardiomyopathy), heart infections (pericarditis, myocarditis, endocarditis). CAD is the most common and puts you at risk for a heart attack. This paper will focus on CAD as it pertains to MI (heart attacks), and explain the cause, the signs and symptoms, the diagnostic tools, treatment options, risk factors and prevention of heart attack. You will hear nurses and doctors refer to this event as MI. Cardiovascular disease refers to conditions that involve the blocking or narrowing of the blood vessels. Plaque, a substance made up of cholesterol deposits and other minute substances, adheres to and builds up on the inside lining of the coronary arteries. Over time this can do two things; narrow the inside space of the tubular artery (lumen), or block it entirely. This process is called atherosclerosis. When your heart muscle does not get enough blood, due to this narrowing or blockage, it can lead to chest pain, (angina), heart attack or stroke. It is vital to note here that women do not always exhibit the classic signs: they can have a variety of other types of symptoms such as extreme fatigue, nausea, severe indigestion, anxiety and others that do not put up a red flag in the traditional sense. Heart disease is the No. 1 killer of women, more deadly than all cancers combined. 1 in 31 American women die from breast cancer each year, but 1 in 3 die of a heart attack. Since 1984 more women than men have died from heart disease. **CALL 911** It is imperative that, whether you have a history or not, you act immediately if any of these symptoms, alone or together, are apparent. The sooner you receive treatment the better. Please do not hesitate to call an ambulance for fear of being a bother or looking weak: it is their job and you can literally save a life by acting quickly and decisively. 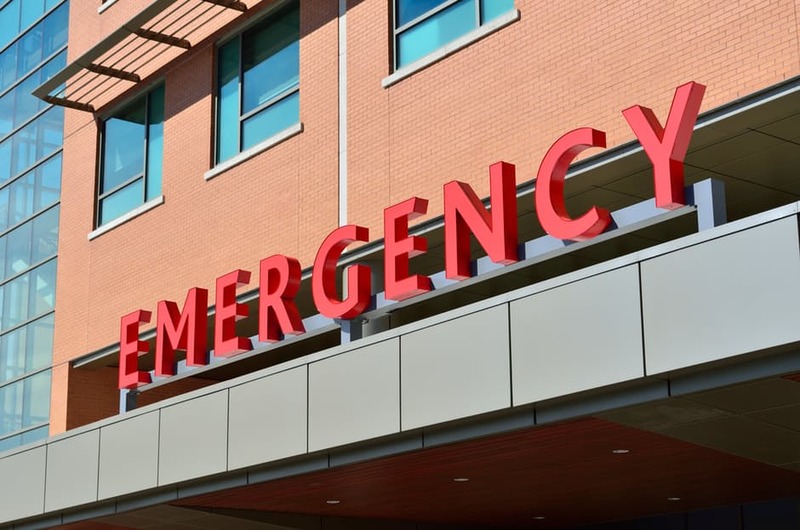 DO NOT waste time calling or going to your doctor…you need the emergency room!!!!! ECG-electrocardiogram for those of you who do not know what that is, a non-invasive picture of the electrical activity in your heart with sticky electrodes taped to your chest. It can tell how much damage to your heart muscle there was if any, and where in the heart it is. It also should be done routinely at your yearly physicals. Blood work – cardiac enzymes. When your heart muscle cells are damaged, the contents, including enzymes, are released into the blood stream. By measuring the levels, this can tell the size of the heart attack and approximately when it started. Troponin – troponin is a protein also in your heart cells, and when the cells are damaged, it is released into the blood stream and they can measure it. In the hospital, doctors and nurses immediately start treatments to try to restore blood flow through the blood vessels supplying the heart. Clot-Busting Medicines: Thrombolytic medicines are used to dissolve blood clots that are blocking the arteries. These medicines must be given within several hours of the start of the heart attack symptoms. Antiplatelet agents: ER staff may give you other drugs to help prevent new clots and keep existing clots from growing. These include medications, like Plavix, called platelet aggregation inhibitors. Heparin: helps make your blood less “sticky” and less likely to create new clots. This can be given IV or by injection under the skin, subcutaneously. Beta Blockers: help relax your heart muscle, decrease blood pressure, slow your heartbeat and make your heart’s job much easier. These drugs can limit the amount of damage done to the heart muscle and help prevent future heart attacks. Ace Inhibitors: lower blood pressure and reduce the stress on the heart. Percutaneous Coronary Intervention: is a nonsurgical procedure that opens blocked or narrowed coronary arteries. A thin, flexible tube (catheter) with a balloon or other device on the end is threaded through a blood vessel, usually in the groin (upper thigh) to the narrowed or blocked coronary artery. Once in place the balloon located at the tip of the catheter is inflated to compress the plaque and related clot against the wall of the artery. This restores blood flow through the artery. During the procedure, the doctor may put a small mesh tube called a stent in the artery. This stent will keep the artery open. This is done using fluoroscopy, a machine that allows the doctor to visualize on a TV screen the entire procedure as he/she is performing it. The national standard for treatment is 90 minutes, in the door, diagnosed, medications on board and into the Cath lab. The ER staff will be notified by the ambulance personal ahead of arrival, and a team will be waiting to move quickly. If a patient comes in by car, the staff will not be pre notified, but they are capable of reacting quickly and decisively to intervene. Once you have had a heart attack, your heart could be damaged which could affect its blood circulation, rhythm or pumping action. It also puts you at a higher risk for another attack as well as stroke, kidney disorders and Peripheral Arterial Disease (PAD). PAD is when plaque builds up, usually affecting the legs, but can also affect the arteries that carry blood from your heart to your head, arms, kidneys, and stomach. In this case, peripheral means legs or arms, your extremities. It is important to lower your risk of these by doing Cardiac Rehab under the care of your doctor, and eating a healthier diet, no smoking, regular exercise and being compliant with all your medications as well as regular check-ups with your doctor. The three main risk factors for Heart Attacks are high blood pressure, high cholesterol, and smoking. Those can be controlled. The risk factors that cannot be controlled are your age and family history, and genetics. You can, however, create a healthy lifestyle for yourself. 1. ECG-electrocardiogram for those of you who do not know what that is, a non-invasive picture of the electrical activity in your heart with sticky electrodes taped to your chest. It can tell how much damage to your heart muscle there was if any, and where in the heart it is. It also should be done routinely at your yearly physicals. 2. Blood work – cardiac enzymes. When your heart muscle cells are damaged, the contents, including enzymes, are released into the blood stream. By measuring the levels, this can tell the size of the heart attack and approximately when it started. 3. Troponin – troponin is a protein also in your heart cells, and when the cells are damaged, it is released into the blood stream and they can measure it. 1. Clot-Busting Medicines: Thrombolytic medicines are used to dissolve blood clots that are blocking the arteries. These medicines must be given within several hours of the start of the heart attack symptoms. 2. Antiplatelet agents: ER staff may give you other drugs to help prevent new clots and keep existing clots from growing. These include medications, like Plavix, called platelet aggregation inhibitors. 3. Heparin: helps make your blood less “sticky” and less likely to create new clots. This can be given IV or by injection under the skin, subcutaneously. 4. Beta Blockers: help relax your heart muscle, decrease blood pressure, slow your heartbeat and make your heart’s job much easier. These drugs can limit the amount of damage done to the heart muscle and help prevent future heart attacks. 5. Ace Inhibitors: lower blood pressure and reduce the stress on the heart. 6. Percutaneous Coronary Intervention: is a nonsurgical procedure that opens blocked or narrowed coronary arteries. A thin, flexible tube (catheter) with a balloon or other device on the end is threaded through a blood vessel, usually in the groin (upper thigh) to the narrowed or blocked coronary artery. Once in place the balloon located at the tip of the catheter is inflated to compress the plaque and related clot against the wall of the artery. This restores blood flow through the artery. During the procedure, the doctor may put a small mesh tube called a stent in the artery. This stent will keep the artery open. This is done using fluoroscopy, a machine that allows the doctor to visualize on a TV screen the entire procedure as he/she is performing it. We are lucky to be living in this day and age with such a good understanding of how our body works and what we can do to optimize our health potential. Some things are definitely out of our control, but others are well within our ability to manage. A positive attitude, gaining a good understanding of our healthcare needs, and a strong support network are key. Prism Health Advocates works with clients and families, helping them navigate the healthcare system, and helping them gain that command of their healthcare needs. This paper is an informational product only, and not to be construed as the provisioning or giving of medical advice. If you have a specific medical issue, please consult your physician immediately. Prism Health Advocates does not provide medical advice, diagnosis or treatment.